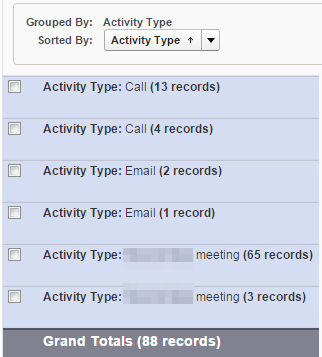 Activity is pretty unique in Salesforce.com, it consists of two objects: Event and Task, but it have almost similar structure. When you add a custom field for Activity, instead of click Event field or Task field, but you will find a menu Activity Custom Fields under Activities menu. In structure level, the field will be added in both Event and Task. Type is standard field in both Event and Task, you can customize to have same values or different between Event and Task. When come to reporting, you can run a report with combined data between Event and Task, just select standard report type Tasks and Events. Type field will be shown as Activity Type on the report. 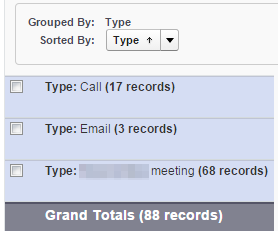 We found an issue when would like to group by Activity Type, if both Event and Task have same values, instead of group them into the same group, it will be group into 2 group, one for Event and one for Task. When you create formula field in 'Activity Custom Fields', Type field is not visible for Activity - NOT POSSIBLE. If you have any existing data, you need to mass update Event and Task to populate Type to the custom field. This is exactly the same logic with using Workflow, since we can use workflow to achieve this, why need to use trigger? A mail merge is the process of generating form letters and documents that are personalized for the recipient, who is often get the data from database. Salesforce have with this functionality from long time back, where you can define templates and to include variables into the document generated, it called merge fields. 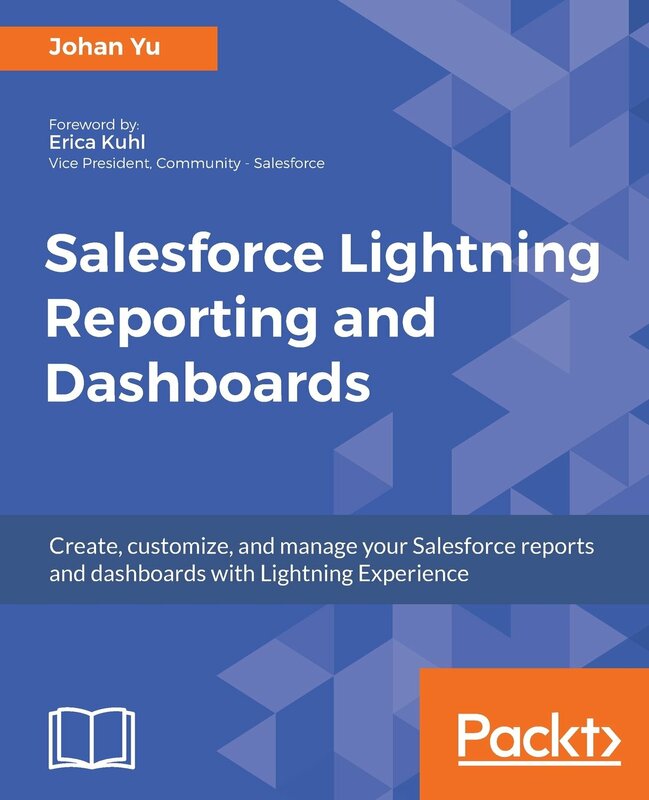 In Salesforce, you can use data from records, for example Contact Name, Account Name and Address displays in the generated documents. 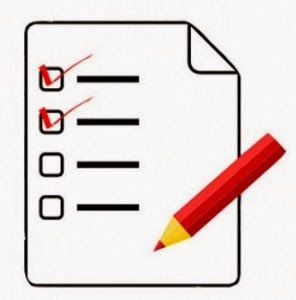 To generate a Microsoft Word document for an individual record, open the record’s detail page and click Mail Merge on the Activity History related list. Just make sure to add Activity History related list to the page layout. Once you click Mail Merge button, it will open Mail Merge page, record to merge will be automatically populated. 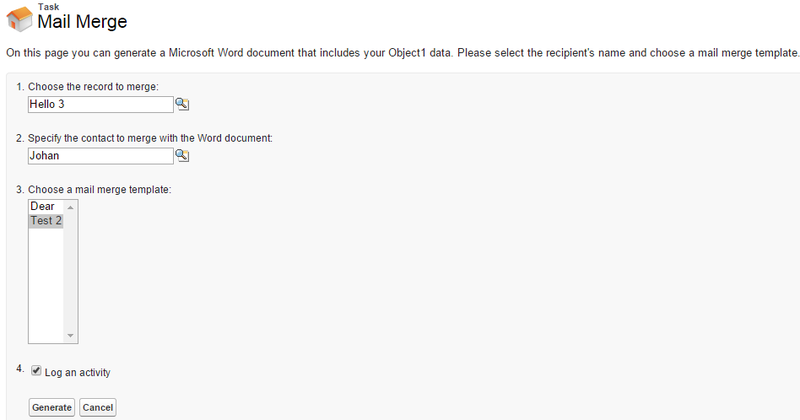 For custom object, you will be asked for contact to merge with the Word document. If you select Log an activity button, new task page will be presented for you to enter information for the task. Salesforce has ending support for Standard Mail Merge on March 4, 2017, read this. It only support Accounts, Contacts, and Leads. Click the object tab and select Mass Mail Merge under Tools. For standard mail merge, you will ask to install ActiveX the first time you use it. When you click Generate button, Ms Word opens with your generated document and you can Save As to a folder as per normal Ms Word. Extended Mail Merge do not require to any specific browser or specific Ms Word version. 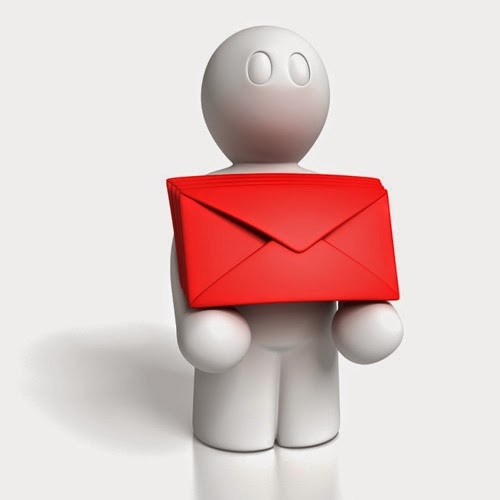 To enable Extended Mail Merge, navigate to Setup | User Interface, enable Activate Extended Mail Merge. If you do not see this option, log a case to Salesforce Support to enable it. Once you activate Extended Mail Merge, it will affect to the whole user in the organization, this mean no user will use Standard mail merge anymore. In Extended Mail Merge, when you click Generate button, the document generated will be put in Salesforce Document object. You get an email with a URL to download generated mail merge documents. Example: Your salesforce.com mail merge request is complete. The generated files have been added to your documents tab: http://na3.salesforce.com/01550000001XrnD Please note that these files count towards your organization’s storage limits. To use mail merge, you need to create mail merge template, which is Microsoft Word documents with merge fields that reference salesforce.com fields. - Place your cursor where you want to insert a merge field. - Select Mail Merge in the Categories drop-down list. - Select MergeField in the Field names box. - In the Field Properties area of the Field name box, manually enter the valid merge field, such as ACCOUNT_NAME. Here is the guide line for the merge field name: ObjectName_FieldName, such as: ACCOUNT_NAME for standard object and field, for custom object is the same OBJECT1_RATING. If you note here, it is a not API field name. Change the instance to your Salesforce instance name and put a sample record for that object in id parameter. Not able to use data from child records, you need to use 3rd party app such as: Conga Composer, Drawloop, or S-Docs. In previous blog, we discussed about Chatter External license and feature. 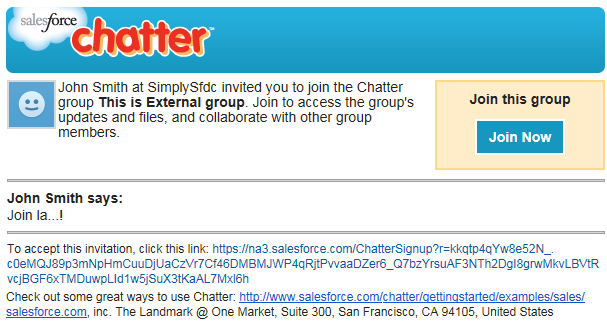 In this blog, we would like to explain step by step how to invite your customers to collaborate using Chatter. You need to consult with your company legal team, but the good thing is, until now Salesforce give 500 Chatter External license for free. User click Invite People link and enter user email address, separate email address by comma for multiple email address. - Customer will receive email from Chatter and click "Join Now"
- Enter password, confirm password, security question and answer. Sorry! We're having a problem accessing the page you requested. Please try again later. 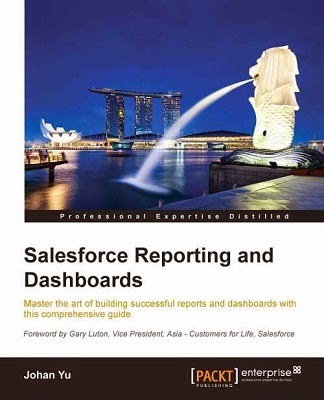 This blog is not about older Salesforce Classic mobile app, but the newer app Salesforce1. Apple Safari browser on iPad 2 and later models (including the iPad mini) and iPhone 4 and later models, with iOS 7 or later. BlackBerry Browser on BlackBerry Z10 & Z30 devices with BlackBerry OS 10.2 or later, not support on BlackBerry Q10. Google Chrome browser on Android phones and tablets, with Android 4.2 or later. Microsoft Internet Explorer 11 browser on Lumia and HTC phones with Windows® 8.1. For best results, Incognito Mode in Chrome, InPrivate Browsing in Internet Explorer, or Private Browsing in Safari or BlackBerry Browser should be turned off. A Wi-Fi or cellular network connection is required to communicate with Salesforce. If you’re using one of the Salesforce1 apps, you can view your most recently accessed records when your device is offline. From mobile browser, open http://login.salesforce.com, enter your username and password. Once your login credential is accepted, your organization logo will be display as loading page, this is the same experience when opening Salesforce1 mobile app, then it will bring you to the same looks and feels with Salesforce1 app. By default, the mobile browser app option is turned on for your organization wide, but admin able to configure it whether or not users can access the Salesforce1 mobile browser app when they log in to Salesforce from a mobile browser. User able to see full / site by selecting Full Site option in Salesforce1 mobile browser menu, and back to Salesforce1 site by clicking Go to Salesforce1 link at the bottom of the page. Navigate to Setup | Mobile Administration | Salesforce1 | Settings, tick Enable the Salesforce1 mobile browser app. This allows all users to access Salesforce1 from supported mobile browsers. Deselect this option to turn off the mobile browser app, so users can access the full Salesforce site from a mobile browser instead. When this option is turned on, users who log in to Salesforce from a supported mobile browser are always automatically directed to the Salesforce1 interface. If you want your users to access the full Salesforce site from mobile browsers instead, deselect this option. You will find this option in User Detail page. This option will only available when "Enable the Salesforce1 mobile browser app" is selected as in step 1 above - Salesforce1 Settings. By selecting this option, user will automatically use the Salesforce1 mobile browser app when they log in to Salesforce from a supported mobile browser. If this option off, user will see normal / full Salesforce site. So, this option DO NOT related with enabling user to access Salesforce1 app using mobile device, see this blog to enable Salesforce1 access by profile/user. When user login using web browser to access Salesforce1 app, the login history will still show the same browser, example: Safari 7 for iOS.